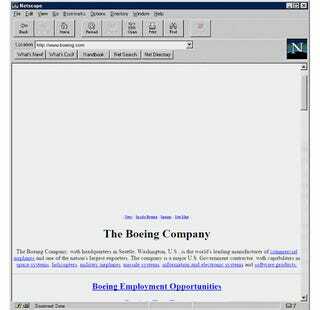 Thirty years ago, on March 15, 1985, the first .com domain name—symbolics.com—was registered by the technology company Symbolics, marking the birth of the commercial internet. But things started heating up in the 1990s. 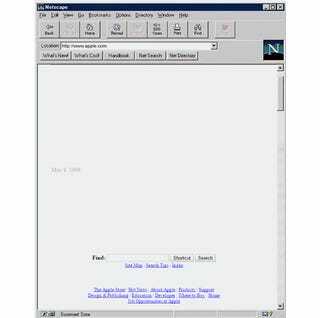 Click back to those days with these nostalgic gifs. 1985. When Back to the Future opened in American theatres and ended up as the highest-grossing film of the year. When Studio Ghibli, the world famous Japanese animation studio was founded. When Amiga personal computers were introduced. When Super Mario Bros. was published. When Steve Jobs left Apple. When Space Shuttle Atlantis made her maiden flight. When the first Nintendo consoles released in the US. Despite all these skyrocketing cultural, technological, scientific developments, the internet, as we know and love it today, started to build up very slowly, with the registration of only six .com domain name in 1985. 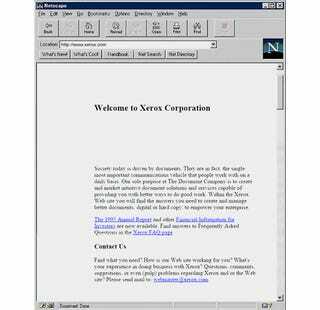 The following decade brought the real break through: the millionth .com name was registered in 1997. Do you remember those years? 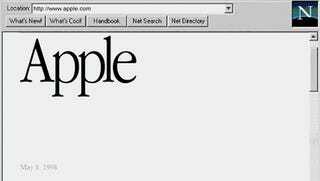 When Netscape Navigator was the most popular internet browser, and frames, tables and little perky animations ruled the webpages? The following set of GIFs created by The Open University based upon the archived pages from the Internet Archive Wayback Machine, brings back the memories. Happy nostalgia.